New pastel jewelry makes a unique gift idea for Mother's Day. New pieces from Bellissima are available at online gift shop, http://www.bluestarbazaar.com. Style comparisons have been made to Hermès laquered jewelry – of course, at a fraction of the cost. One of the hottest trends for spring is saturated pastel colors. Blue Star Bazaar is pleased to announce the arrival of new jewelry from Bellissima which makes the most of the new seasonal colors. Prices start at just $22 and make a unique gift idea for Mother’s Day or a guilt-free self-purchase. Bellissima by Moschitto Designs is a third generation, family owned and operated company which has the distinction of designing and manufacturing its own line of fashion jewelry and accessories here in the USA. The base material is the finest Italian rhodoid plastic which is die cut in New York into various shapes. The jewelry makes a bold fashion statement while being lightweight and comfortable. To see images of these products and more, please refer to the files included with this press release. You can also buy all items at http://www.bluestarbazaar.com. 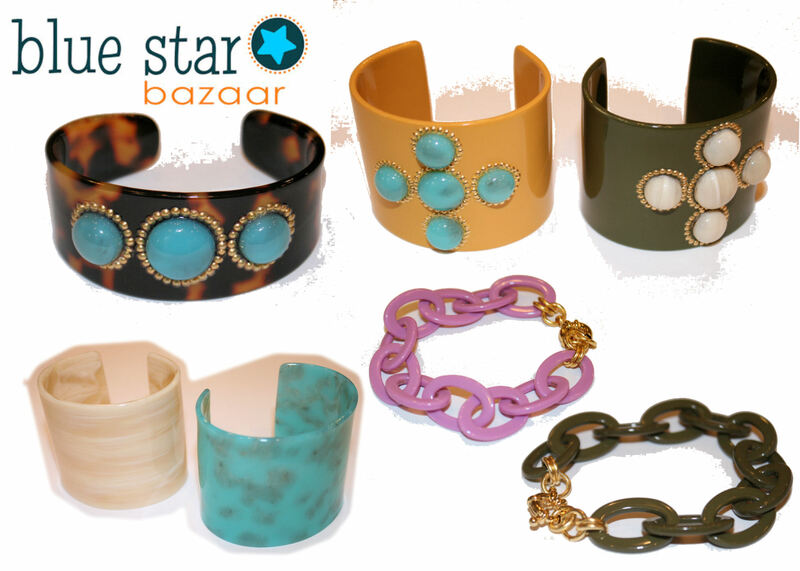 Blue Star Bazaar, founded in 2010 by Megan LaBant Abrahamsen, is an online retailer of unique gifts for women and kids. For those looking for unique gift ideas, Blue Star Bazaar offers a range of products that meet the tough standards of quality, individuality, style, and value. Product categories include jewelry, scarves, watches, handbags, t-shirts, toys, and home accessories. Find the perfect gift at Blue Star Bazaar, headquartered in Wilton, CT.
To learn about future events and sales and receive a $10 bonus, register here. 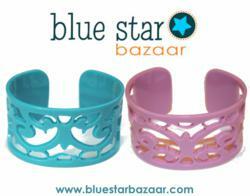 Also, be sure to like Blue Star Bazaar on facebook or follow on twitter (@bluestarbazaar) for special deals.